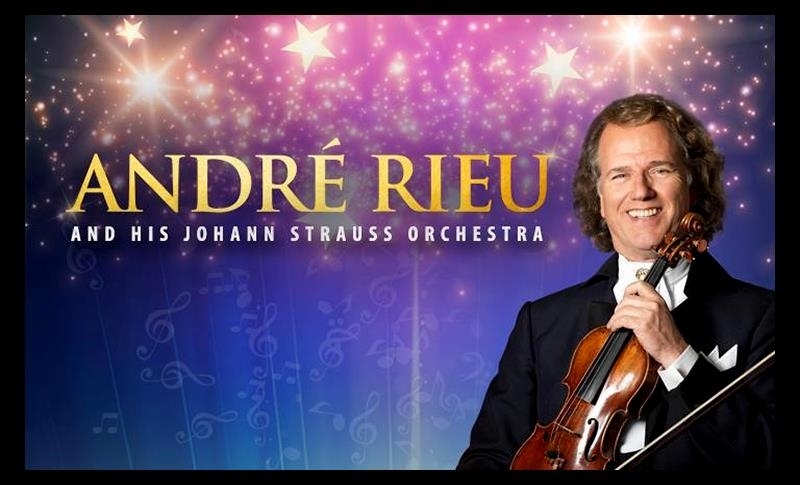 Andre Rieu and his Johann Strauss Orchestra performing their 2017 World Tour at The Motorpoint Arena Nottingham on Saturday 16th December 2017. 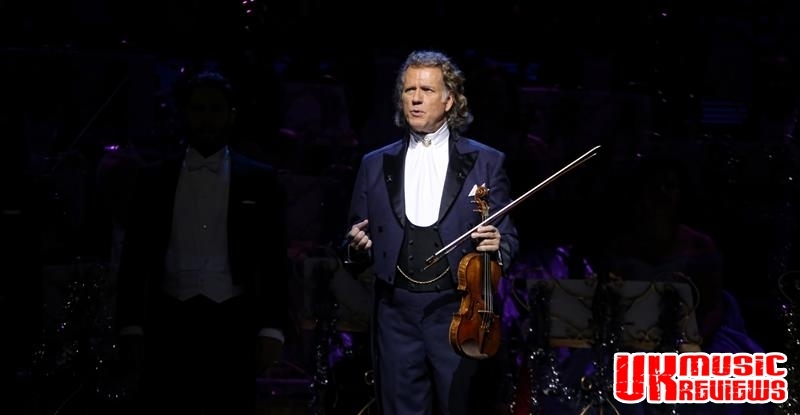 It is impossible not to get lost in the magic of Andre Rieu at this time of year and last night it was a packed Motorpoint Arena who left their warm homes to join in the festive fun with one of the world’s biggest selling artists. 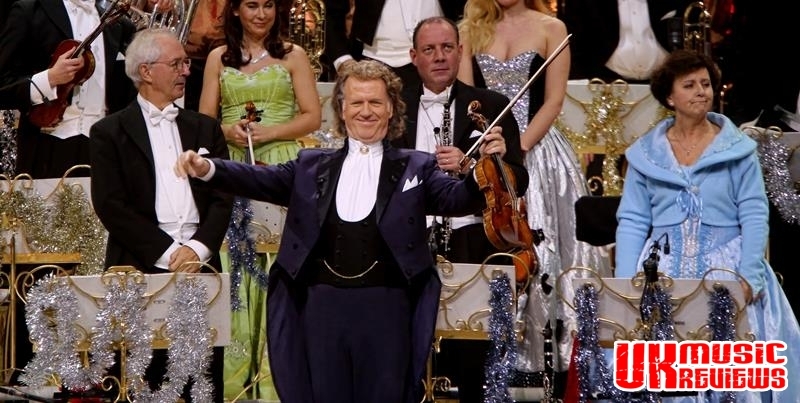 To the sound of Seventy Six Trombones, Rieu marched his sixty piece Johann Strauss Orchestra through the enthusiastic crowd, encouraging a spontaneous clap-along which did not finish until every member of the orchestra was seated. With a venue that was decorated in a sprinkling of fairy lights and tinsel, Rieu commanded a stage that was adorned with Christmas trees, ornate gilded musical stands and a huge panoramic backdrop showing stunning scenes of Austrian Woodlands and Bavarian Castles, which all became a kaleidoscope of wonderful colours with the men in full dress suits and tails and the women in the most amazing sparkly ball gowns. Looking out on a sea of Santa hats which the audience had been provided with on entry, Rieu had brought a wide variety of brilliant musicians and singers from all over the world. With his self effacing humour, banter with his Orchestra and wonderful musicianship, it wasn’t hard to become a member of the Rieu extended family for the night. With contributions from The Platin Tenors and his extremely talented female vocalists, this King Of Waltz certainly knows how to entertain. Hava Nageela was a particular first half highlight and in the second half, Ballade Pour Adeline and the Sportpalast Waltz brought the audience to their feet. But the loudest cheer was saved for Johann Strauss’ The Blue Danube as Rieu’s excellent violin playing showed that he is not just a great entertainer but has a wealth of musical talent. Finishing with We’ll Meet Again, this concert which had been musically compelling and rich in entertainment will almost guarantee that this appreciative crowd will do just that.